The Jewish Cultural Studies series is presenting a panel on Sigmund Freud and Jewish history on Monday, October 25, at 5:30 p.m., in the Theresa Lang Community and Student Center, 55 West 13th Street, 2nd floor. As the inventor of psychoanalysis, a prominent secularist, and an essayist on human nature and modern life, Freud was incontestably one of the most influential Jewish thinkers of modern times. But what role should his work play in Jewish intellectual history? 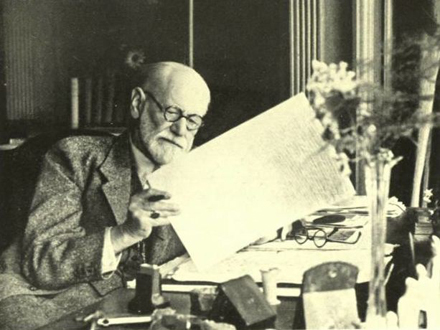 How did Freud himself write a secular history of the Jewish people, and to what effect? Andrew R. Heinze, author of Jews and the American Soul and Adapting to Abundance: Jewish Immigrants, Mass Consumption, and the Search for American Identity. Admission is free, but seating is limited and reservations are required by emailing publicprograms@newschool.edu. For more information on Jewish Cultural Studies, visit their website.